Quetico outfitting at it's finest! Our Voyageur wilderness package is our premium self guided offering, designed for paddlers looking for an all inclusive self guided canoe trip. 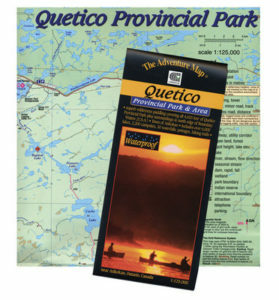 Spoil yourself with our special treats and the opportunity to explore Quetico from any of it's Canadian entry points. Quetico canoe outfitters often neglect the solo paddler and ask them to pay more than tandem paddlers. Quetico Outfitters is proud to present a complete outfitting package specifically designed for solo paddlers. Just pack your clothes and show up, we’ll do the rest. Partial canoe outfitting for your Quetico canoe trips. We recognize that some of our guests may need an item or two to complete their canoe kit. With that in mind, we maintain a full range of gear to supplement your needs. All our trail proven gear is thoroughly inspected and tested before it leaves our shop. Our Quetico shuttles vary from a short hop to a nearby put in; to a long and dusty trek down nearly impassable roads. Our 2017 vans are setup for off road use and can can carry up to eleven guests, their boats, and gear.